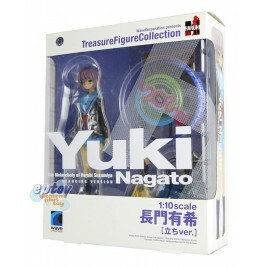 Wave Treasure Figure Collection 1/10 P.. Wave DreamTech 1/8 Pre-Painted Figure .. Wave Kannagi Crazy Shrine Maidens Nagi Swimwear Ver. Wave DreamTech 1/7 Pre-Painted Figure .. Wave The Familiar of Zero Louise swimsuit Ver. Wave DreamTech The IdolMaster Miura Azusa Ryugu Komachi Ver. Wave DreamTech Oreimo My Little Sister Can't Be This Cute Kuroneko Sitting Ver. Wave DreamTech Puella Magi Madoka Magica Akemi Homura Swimsuit Ver. Wave Beach Queens 1/10 Pre-Painted Figure ..